Hahn Loeser CEO and Managing Partner Marc J. Kessler specializes in several key areas of business litigation. His expertise includes complex commercial transactions, business torts, real estate, product liability, construction, bankruptcy, health care, intellectual property rights and toxic tort defense. Marc is an experienced trial and appellate litigator in both state and federal courts throughout the country. In addition to his substantial litigation experience, he provides strategic business counsel to numerous large corporations based in the Midwest. 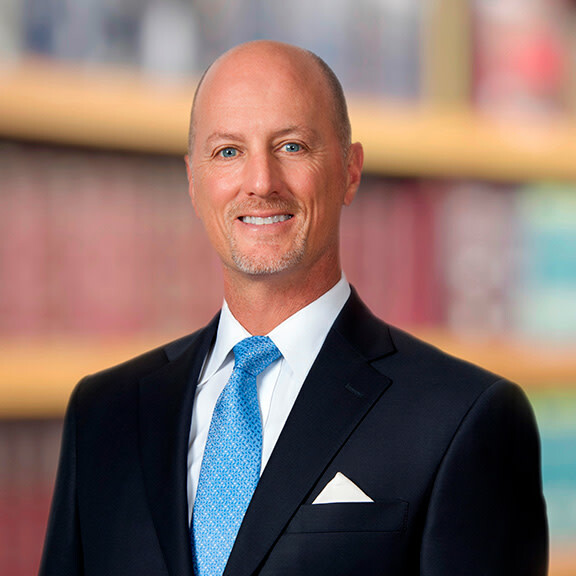 During his 26 years of practice, Marc has tried, litigated, arbitrated, mediated or otherwise resolved a wide variety of disputes and other client matters. Marc’s clients include large corporations, chemical companies, steel manufacturers, financial institutions, accounting firms and a variety of governmental entities. Marc was recently named the 2018 Mass Tort Litigation/Class Actions (Defendants) “Lawyer of the Year” by The Best Lawyers in America® in Columbus, Ohio. He has been listed in Best Lawyers in America® since 2005. He is also consistently recognized by Chambers USA, America’s Leading Lawyers for Business (litigation) and Ohio Super Lawyers®. Marc has also been selected by Ohio Super Lawyers as one of the top trial lawyers in the Columbus area. Marc is listed in the 2017 Edition of U.S. News & World Reports’ annual list of The Best Lawyers in America® in Columbus for Bet-the-Company Litigation, Commercial Litigation, Toxic Tort Defense and Franchising. Further, Marc is active in community organizations supporting Central Ohio. Middleport Terminals v. Brown Minneapolis Tank & Fabricating Co. (S.D. Ohio 1994), successfully defended manufacturer of storage tanks on motions practice premised upon toxic tort claims. Trammel v. Loney et al. (S.D. Ohio 1995), successfully represented county and deputy sheriff in a 1983 action. Myers v. Hocking County Community Hospital (Hocking Cty. C.P. 1995), obtained verdict 100 times the last settlement offer. Kermes v. WSA Inc., Viracon Division, et al. (N.D. Ohio 1997), obtained defense verdict in product liability case. 382 Capital Inc. v. Corso (Franklin Cty. C.P. 1998), successfully represented directors and officers of corporation in breach of contract and enforcement of covenant not to compete. Breitenstein v. E.I. duPont de Nemours and Company (S.D. Ohio 2000), prepared and argued successful dispositive motion in precedent setting dispute relating to contractor liability. Silverman v. American Income Life Insurance Company (Franklin Cty. C.P. 2001), successful defense of company and CEO against multimillion dollar claims premised upon fraud, breach of fiduciary duty, breach of contract and wrongful discharge. Glimcher Properties Limited Partnership v. Ferrante (S.D.N.Y. 2001), successfully represented developer in complex commercial litigation involving stock transfer rights. BMW Financial Services LLC v. Wickline (S.D. Ohio 2002), obtained a declaratory and specific performance judgment confirming consumer credit card rights. Morrison v. Homewood Corp. (Franklin Cty. C.P. 2003), achieved a complete defense verdict disputing consumer claims for a major home builder in Central Michigan premised upon clean water act and environmental claims. Upper Arlington I, LLC v. Continental/Eagle II, LLC (Franklin Cty. C.P. 2004), successfully prosecuted and obtained summary judgment in a multimillion dollar claim for breach of contract and fiduciary duty. Eilerman v. Cargill, Inc. (S.D. Ohio 2005), prepared and argued successful dispositive motion premised upon intentional tort claims. Footstar, Inc. v. Glimcher Realty Trust (Bankruptcy S.D.N.Y. 2005), successful representation of landlord against claims for alleged CAM overcharges. In re Horizon PCS, Inc., et al. (Bankruptcy S.D. Ohio 2006), successfully defended a telecommunications company in adversary proceedings defending purported fraudulent conveyance. In re National Century Financial Enterprises, Inc., et al., (Bankruptcy, S.D. Ohio 2008), lead counsel in adversary proceeding successfully representing the Southwest’s largest home health care provider in litigation related to the collapse of $3 billion health care financier. Salling v. Budget Rent-A-Car Systems, Inc., et al., (D. Ohio 2010), successfully defended national car rental companies against a class-action suit alleging fraud and unjust enrichment with the car rental companies’ fuel service fee. Affirmed by the U.S. Court of Appeals for the Sixth Circuit in February of 2012. Abrams v. Nucor Steel Marion, Inc. (N.D. Ohio 2016), successfully defended a mini mill against a complaint filed by 527 Plaintiffs asserting claims premised upon toxic tort and specifically the emission of particulate matter. Affirmed by the U.S. Court of Appeals for the Sixth Circuit in May of 2017.